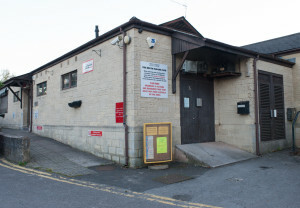 THE South Parade Club in Frome will not have its licence revoked, having met the requirements of Mendip District Council. Mendip District Council suspended the South Parade Club’s licence late last year following complaints by local residents that the club had failed to comply with the terms of its licence. The council gave the club one month to make improvements to the operation of the venue. Mendip District Council is now satisfied with the way the club is being operated. Mendip District Council released the following statement, “The council dealt with a review application from local residents in September 2015 for the Frome and District Club otherwise known as the South Parade Club. The licensing sub–committee took the concerns of residents very seriously and in its decision sought to require the club to make a number of improvements to the management and operation of the venue. To this end, they suspended the club’s licence for one month to ensure the club met these requirements. “The club appealed to the Magistrates’ Court against the decision, so it was stayed until that process was complete. In the meantime, the club and their legal representative have worked with council officers to meet the council’s requirements. They have improved their policies and procedures on: staff training, use of door staff, dispersal of customers at closing time and the procedure under which the club will deal with residents’ complaints and concerns in future. In this way, the concerns of the sub-committee have been directly addressed without the need for a formal hearing in court.